In a small pan, saute the tomatoes and shallots over medium-high heat for a few minutes or until the shallots soften and become translucent. Add Worcestershire sauce and a light sprinkle of salt and pepper and stir. Remove from heat. Place the tomatoes and shallots at the bottom of a ramekin (or mini le creuset if you happen to have one). Top with half of the gouda and half of the parmesan. 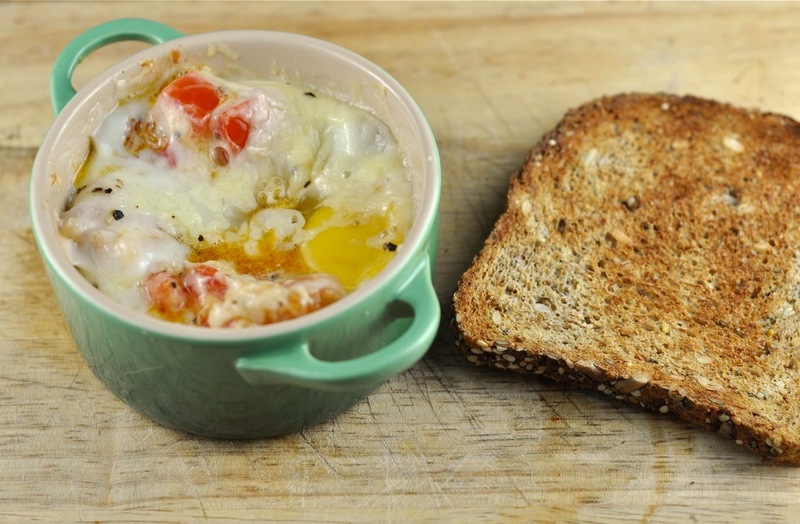 Crack the egg on top of the cheese, tomatoes and shallots and top with remaining cheese. Bake at 400 degrees for about 25 minutes or until egg cooks but is still a little bit runny. This entry was posted in Recipes and tagged aged gouda, eggs, Parmesan, Shallots, tomatoes, worcestershire sauce. Seriously such a great gift! Thank you again!